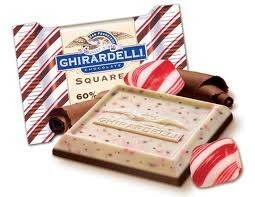 Savour the complex symphony of intense chocolate layers sprinkled with refreshing, festive peppermint & individually wrapped. In shiny brown and white foil (dark) and shiny red and white foil (milk). Approximately 80 to the kilo.